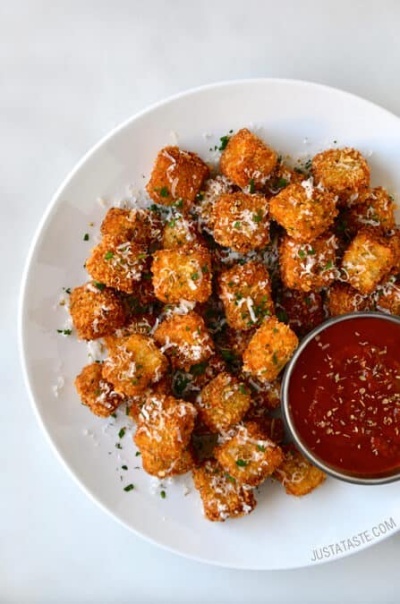 This Eggplant Parmesan Bites with Marinara Dipping Sauce updated take on the Italian classic features bite-sized nuggets of eggplant coated in Parmesan breadcrumbs and fried to crispy, golden brown perfection. And the dip-worthy complement to this snack sensation? Tangy homemade marinara sauce that transforms from raw ingredients to a saucy slam-dunk in just 10 minutes.